It's the little strawberry that is found everywhere: in fields, open places, and on roadsides. Although much smaller, it is sweeter and more flavorful than the cultivated strawberry. There is also in Quebec a subspecies of the Wild strawberry hardly distinguishable from the typical species, the Smooth wild strawberry. 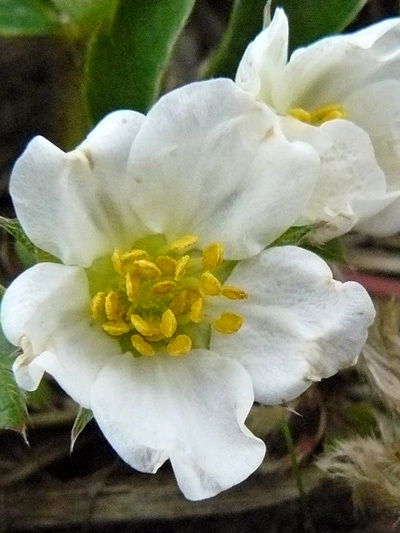 Another species, the Woodland strawberry, can be found in our forests, it has more elongated fruit .